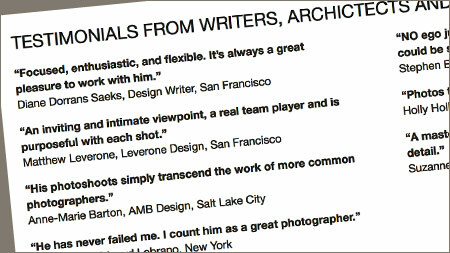 PHOTOGRAPHER OF INTERIORS, ARCHITECTURE & LIFESTYLE IN SAN FRANCISCO AND CALIFORNIA. 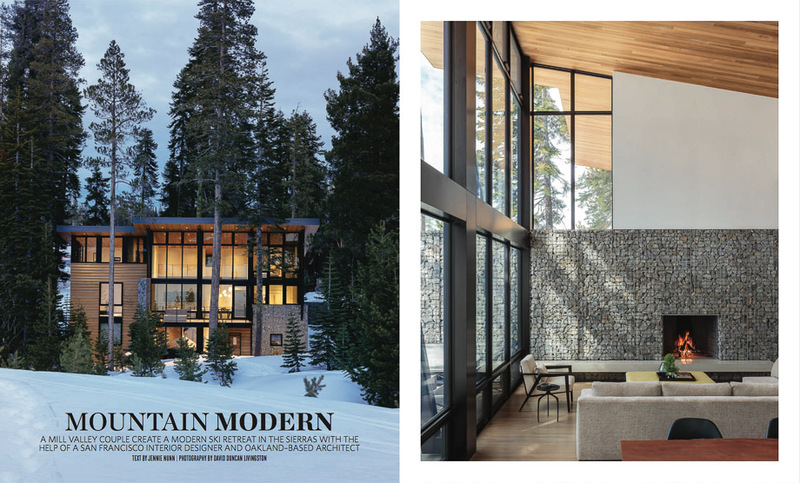 Cover story, I photographed this modern ski retreat to get the perfect mix of inside and out, the coolness of snow and the warmth of fireside. I art direct my photo shoots, help style them as needed, photograph and create the publish perfect photos after Photoshop. 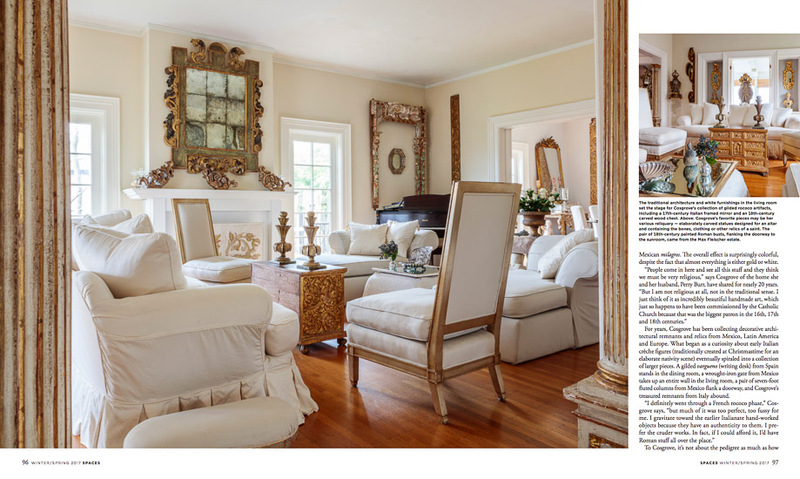 As an architectural and interior photographer, I not only see the spaces within a home but I understand the story of the home. 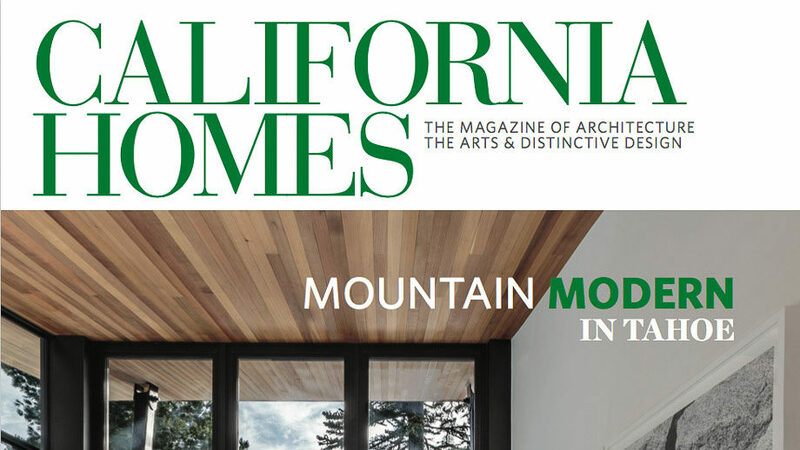 I distill the design project into its essence and then bring back the building blocks for a great feature. 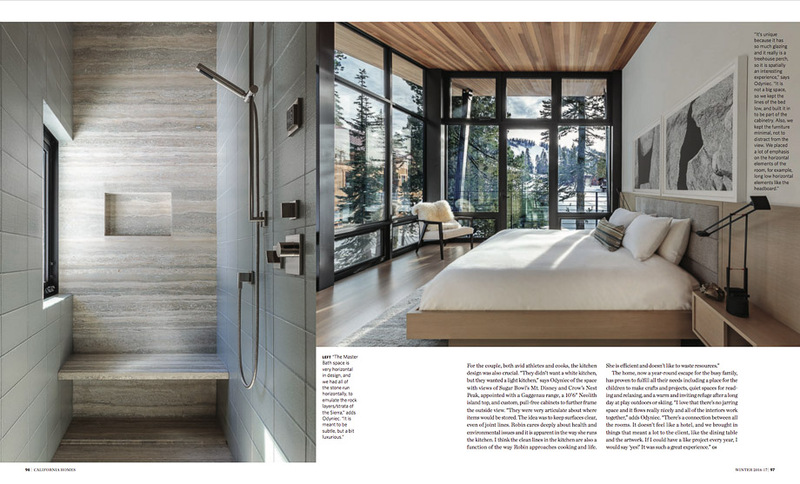 Editors and art directors can easily take my photos to create these kind of great spreads. On my shoots I wear many hats, roll up my sleeves and get to the story. 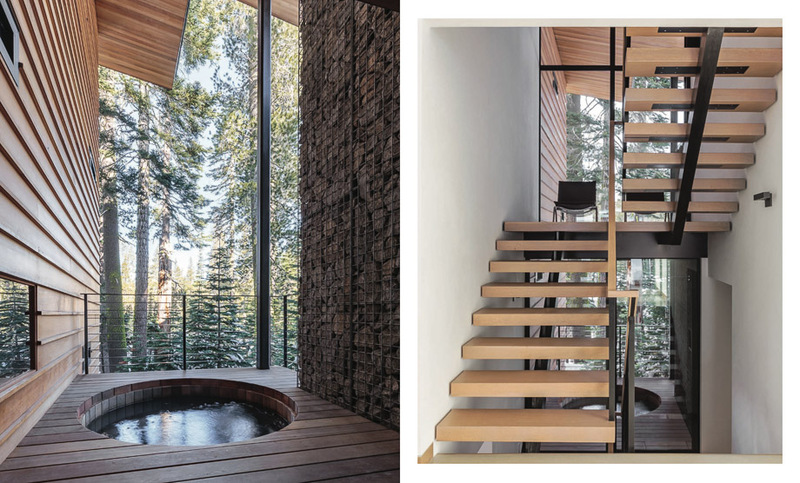 For this story, the photo mix became 1/3 place, 1/3 design and 1/3 architecture. The light fresh, the air cool, the home awesome. 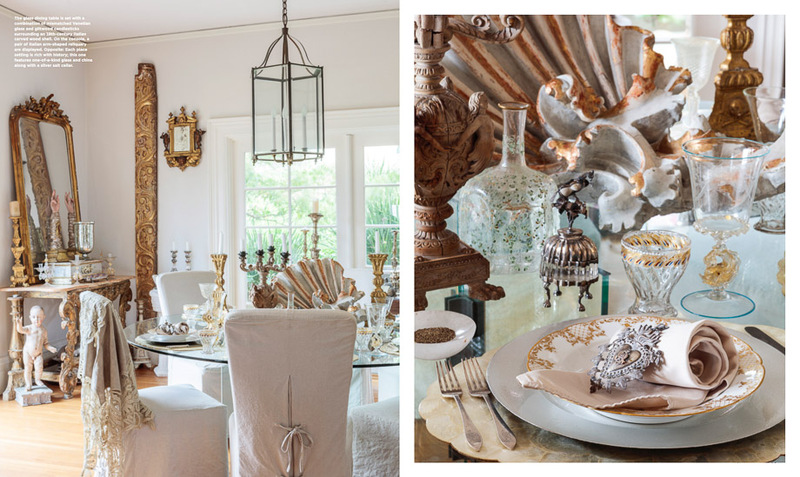 My photography practice spans home design from the cozy, to the crisp and to the collected. Each home has a story to tell, it is my job to get that story in a cohesive group of photos. Photos that show well individually and importantly as a group which can become magazine spreads and website portfolios. 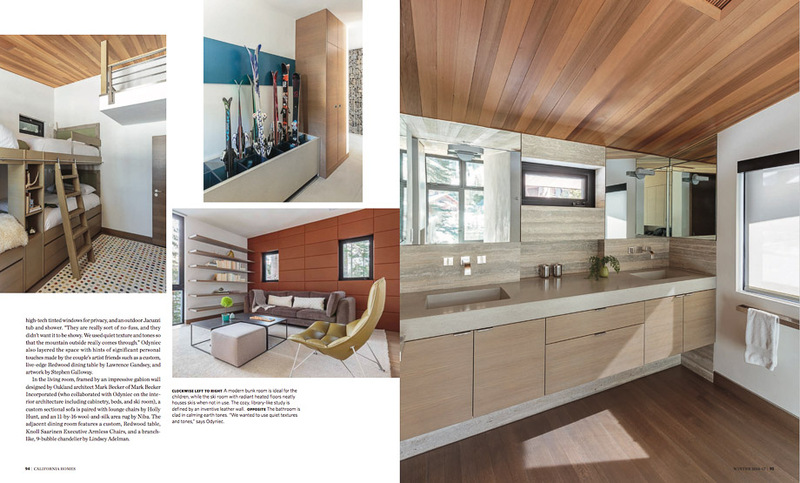 This next feature ran as a holiday eight-page spread in Spaces Magazine. 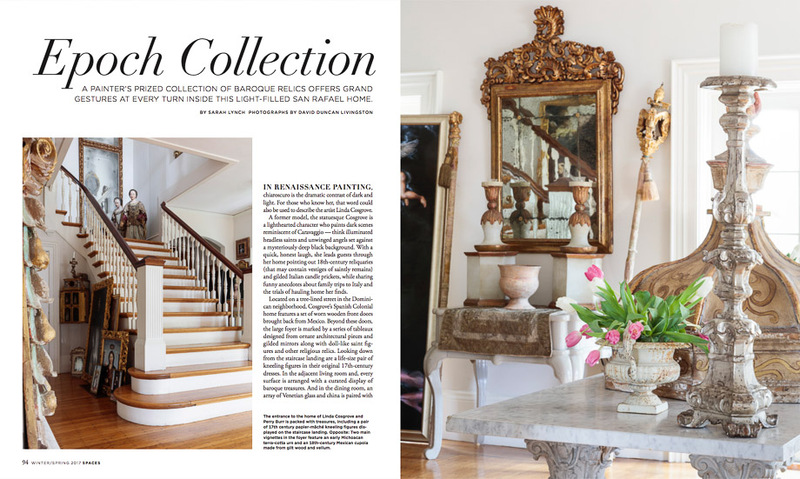 The collectors home was all about the Baroque &Italianate, see how the spreads show overall photos along with the interior vignettes. 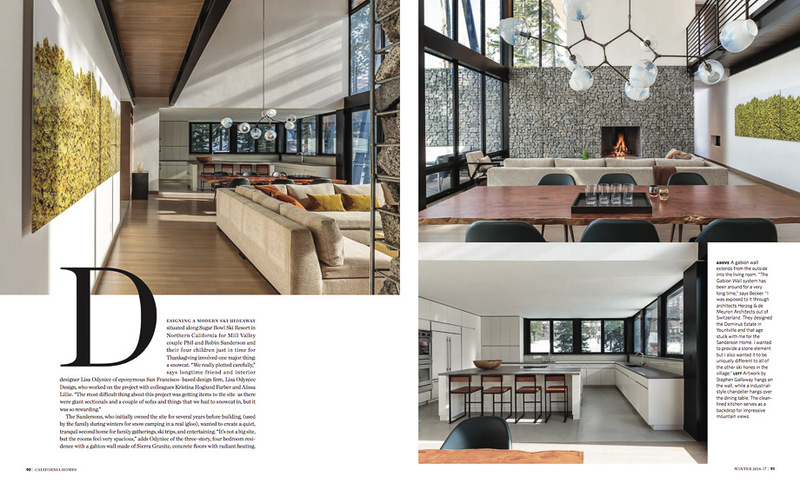 Art directors use this mix of photos to make a lively page layout, showing the juxtapositions within the home design. 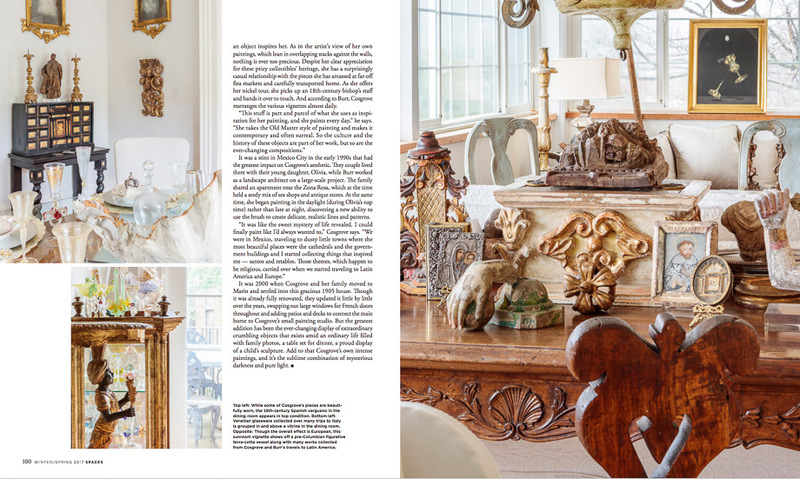 Editorial photography for shelter magazines, interiors with personality. My interior and architect clients appreciate my eye for the details. They like that I see the big picture and can massage it to be balanced and perfect. 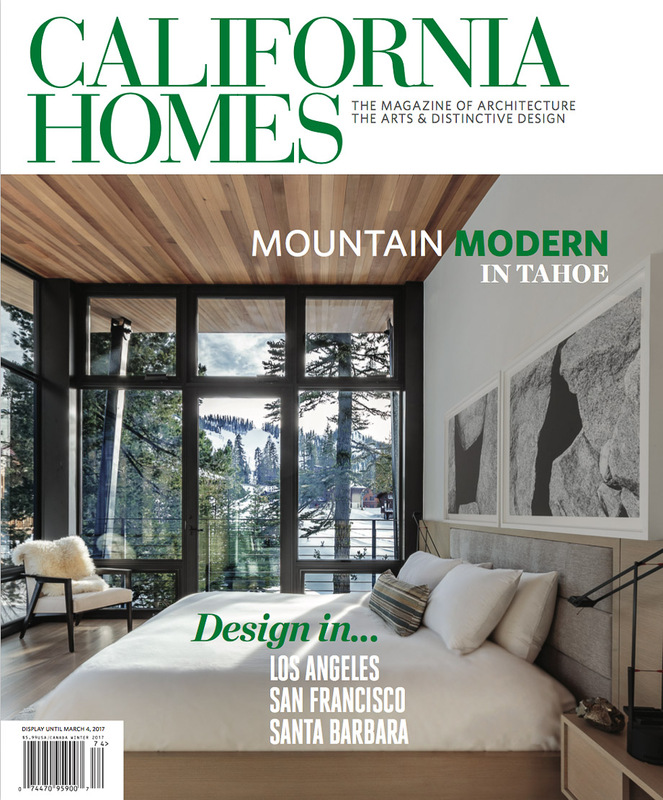 I photograph in the San Francisco Bay Area and travel to the places of second and third homes to shoot amazing homes in Tahoe, Jackson Hole, Sun Valley and Aspen. I am very hands on.